In a recent interview, Saoirse Ronan was asked what film of hers she wishes people would pay more attention to. Her answer: How I Live Now. Kevin Macdonald (director of BAFTA-winning The Last King of Scotland) adapted the young adult novel by Meg Rosoff in 2013, with Tom Holland, George Mackay and Harley Bird starring alongside Ronan. 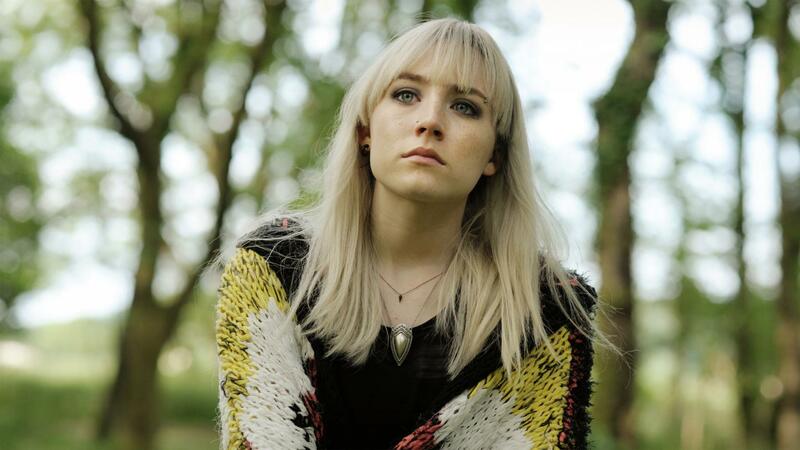 In an era before Christine ‘Lady Bird’ McPherson, Saoirse Ronan plays an American girl determined to be known as Daisy rather than Elizabeth. Sent to the Sussex countryside for the summer, she is taken to her cousins’ farmhouse, complete with an aunt who’s locked herself in her office, silent-strong love interest Eddie, and a kitchen overrun by children and a goat. With the noise of her internal thoughts screaming over the real-world sounds, Daisy seemed more comfortable amongst the heavily-armed soldiers in the English airport with newscasters cycling reports of bombings and high political tensions creeping ever closer. You might take it for granted at the time, with the narrative turning towards Daisy navigating her cousins’ spontaneous day-to-day life, but it’s only twenty minutes before war really does break out. This isn’t a coming-of-age tale about a troubled teenage girl finding love in the British countryside. From here on out, it’s the story of Daisy having to cross a country she doesn’t know with her little cousin Piper, a disordered mental state and world war three going on in the background. For me, How I Live Now was one of those rare stories that found its way to me at the exact right time; telling me exactly what I needed to hear in a voice I could understand. So I may be biased, but I think Macdonald’s film exhibits the importance of seeing flawed characters grow in trying circumstances. Because Daisy is dislikeable – to say the least – to begin with. She’s rude, blunt, and straight-out mean sometimes. She snatches from her cousins, grumbles and stomps around. Even Piper is just a nuisance to be told to get out of her room. And yet, I still rooted for her, even then. Maybe it’s a credit to Ronan’s acting because I saw something in that character that I recognised. And though I wouldn’t call this film a rite of passage, it does encapsulate an angle of teenage angst that’s more than wanting to find love and purpose: needing to feel in control and learning that you can fix things you’ve failed at. The portrayal of mental health in teenagers – especially girls – is always highly contested, whether it’s fictional or not. Teenage angst in general is blamed as a quick way out for a lot of issues young people experience, and sometimes it dismisses what else is going on. Though not as clear-cut as in the book, right from the start (over the studio logos, no less) we hear Daisy’s inner voice attacking her in a way that is more than low self-esteem. ‘Imagine yourself being successful’, ‘accept that life is unfair’, ‘style it in a way that flatters your face’, ‘you’re disgusting, you know that?’. On some level, we can all relate to that nagging voice at the back of your head, but the ambivalence and aggression of Daisy’s immediately tells us there’s something more here. Her brain demands that she ‘stay away from distractions’ and ‘step out of your comfort zone’ – two opposing ideas that smash into one another, and even with her show of apathy in front of other people we can understand how frustrating that is. What I love are the visual cues for what dealing with mental health is like. Maybe I’m reading into it, but I watch Eddie lead Daisy out of the house the morning after a bomb goes off in London, while she worries if there’s radioactive fallout and if it’s safe to be outside. He doesn’t answer her, so she stops by the statue at the edge of the garden stubbornly. Eddie just looks at her and carries on into the dark of the woods while she stands there. Daisy hesitates, staring at that black opening, because going in, pushing forward, feels like a bad idea. Because I think, to Daisy, venturing out into no man’s land (when she has a habit of washing her hands three times over) and opening herself up to this person (when we’ve only seen her flinch away from people before) is like going into the belly of the beast. But you have to go through the woods to get out of it. Now as I’ve said and what is apparent if you’ve seen pretty much any marketing of the film, is that this isn’t just a coming of age romance touching on mental health. Though the boys play with plastic guns and think the fighter jets flying low over the fields are cool, it turns out to be all too real. Their mother has to leave the country, the phones aren’t working, and the television is playing footage of a nuclear attack on London before the power shorts out and leaves them huddled in the darkness. Soon enough the cousins are split up and carted off into the unknown, with Eddie’s instructions to find their way back home left ringing in Daisy’s ears. What really interests me is the idea of how extenuating circumstances – in this case, wartime – are explored as a catalyst for coping. Survival at all costs often turns characters in new directions, but it’s rare that we see it for the better. As Daisy stares at a half-full plate of food in the military residence, I always think of the closing monologue. She says that ‘before the war I used my willpower for stupid stuff, like not eating chocolate’, and that hovering shot over the untouched food sums up perfectly the way a mental illness can make even the simplest things hard. It’s wartime, food is scarce and Daisy’s clearly hungry, but still, it’s an effort to lift that fork. Macdonald hones in on all the things that Daisy struggled with before the war; to the music of Daughter’s pulsing Home she gets trapped in the rhythm of routine, washing her hands over and over, handling food, watching tablets purify the water they drink – when earlier Daisy wouldn’t go swimming for fear of the germs in the lake. Her father not taking her calls is paralleled with a room of broken phones; a soldier calls her lady with a smirk. All the things that she was scared of are real. Only now it’s inter-cut with her stealing food, testing a compass, comforting Piper, plotting their way back home on with a map. She’s surviving anyway. And part of the responsibility – or dare I say it, freedom – pushing her on is the desire to look after Piper. Girls helping girls has only recently come into the limelight as being (obviously) worthwhile, after years of women being pitted against each other over beauty, wealth and desirability. There’s a moment where Piper wonders aloud if she’s the reason her mum left the country and seemingly abandoned them to the war. It’s a gentle, naïve moment, but Daisy recognises the same toxic thoughts that plagued her in Piper. And, unlike at the start of the film where Daisy could barely hold her hand for more than a minute, she tells her that’s not true. And sure, Daisy also grows her power in physical ways: she pushes Piper to keep moving when they’re on the run, helps her cross fallen trees, and she shoots the men who grab Piper in the wood saying ‘come on little lady, just a bit of fun’. When she’s looking after Piper, that time when other people need her, she can manage. And I think that’s relatable too: when we feel empowered to do something, through responsibility, necessity or self-assurance, we often end up doing it. Daisy, having been the passive agent in the early film, has become the active heroine. By the end, when they finally find their way back to the farmhouse, Daisy stands tall with shoulders back and eyes front, a grim expression but a determined one, her hand clasped around Piper’s as the little girls holds on tight and looks up to her. They step forward together and into the broken house, still seemingly a long way from home. I’m not saying that the impending possibility of a world war three is a good thing for young people. But we all know the trend of dystopian films was sparked by the fear that some of us were going to see the world literally explode; fiction has always been what humans have turned to when they need to work through a problem they’re too scared to address directly. And How I Live Now addresses this. But I think it also does a good job of addressing the internal world and how things can feel that fragile as well. No, I don’t think the war is a metaphor for Daisy’s mental state – this isn’t key stage 4 drama class – but I think it can show people that maybe haven’t dealt with mental illness what it is without demonising it, and show the people that live with it that maybe they wouldn’t be the first to die in an apocalypse. Daisy is studying film production at Arts University Bournemouth with the aspiration of becoming a director and screenwriter. If you can’t find her lost between the shelves of a bookshop you might be able to see her in a dark cinema if you squint hard enough. 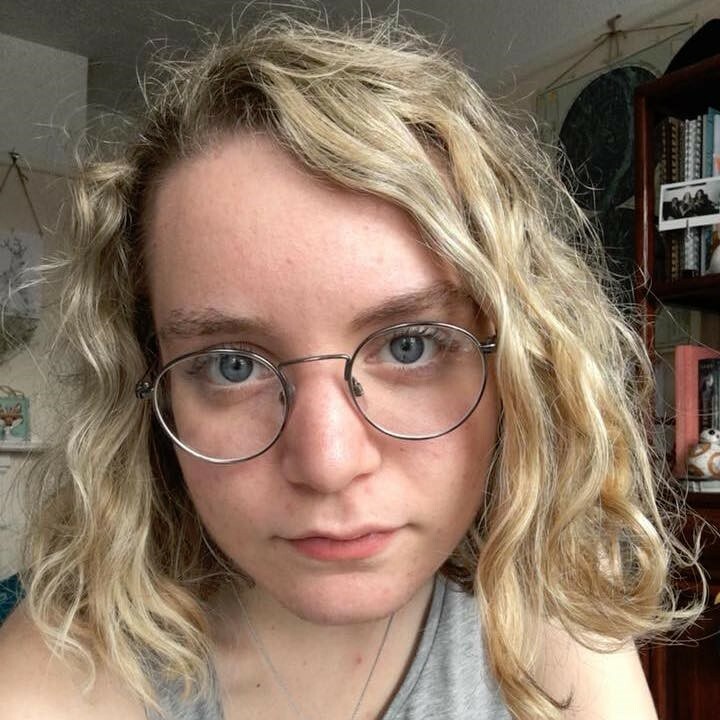 A lover of independent and foreign film with female perspectives, her favourites include Pan’s Labyrinth, The Handmaiden, Frida and anything that has ever come out of Hayao Miyazaki’s brain. You can see her work on thedaisydeer.wordpress.com, and find her general ramblings as @thedaisydeer at Twitter, Letterboxd and Instagram.